When I first saw this weeks inspiration pic at Just Add Ink I panicked as I haven’t combined this many colours ever! After I got over my fear of how many bright colours there were, I sat down and thought about the best way I could make them work. I figured using multiple colours on my Positively Chevron background stamp would be the easiest way to get them all in. The Stampin’ Up! colours I’ve used from bottom to top are – Elegant Egglant, Tempting Turquoise, Pear Pizzazz, Daffodil Delight, Crisp Cantaloupe & Real Red. To create this effect I took a piece of copy paper to use as a mask and placed it about 1 inch from the top of the stamp. I inked up the inch I had left uncovered directly from the Real Red ink pad. I then moved my copy paper down another inch and inked up the stamp with Crisp Cantaloupe ink – trying not to leave too much of a gap between colours. I kept inking and moving my mask down until I had all the colours on the stamp. I then spritzed the stamp with water to blend the colours a little bit. This was the effect it created. The butterfly I’ve used is from Papillion Potpourri. I used a blender pen to colour the wings with Tempting Turquoise and Daffodil Delight ink. To finish my card off I’ve used this fabulous sentiment from Flower Patch and added some sequins. You’re probably going to notice a difference from my normal over-layered cards. I really did try and keep this card as de-layered and clean as possible. Did my head in because I kept wanting to add stuff! 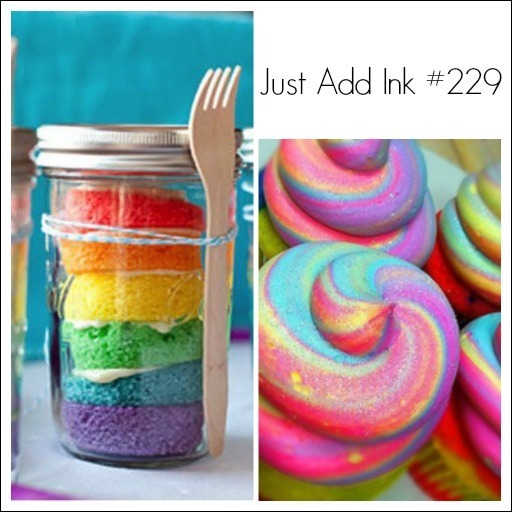 Come and join us with this weeks challenge at Just Add Ink. 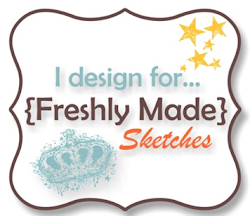 Click here to take you to the challenge – while you’re there, check out the gorgeous inspiration from the design team. This is so not like you but I can still tell it’s your work by the attention to detail! Great job! Lovely, Narelle. Might not be your usual style, but it’s gorgeous! You did a fabulous job getting all those colors in! I love using the rainbow colors with the chevron stamp. It is a fabulous combination! Ohhhh Narelle I love the technique you have used for the chevrons…. I’m going to have to try that myself because it looks fab! Wow! 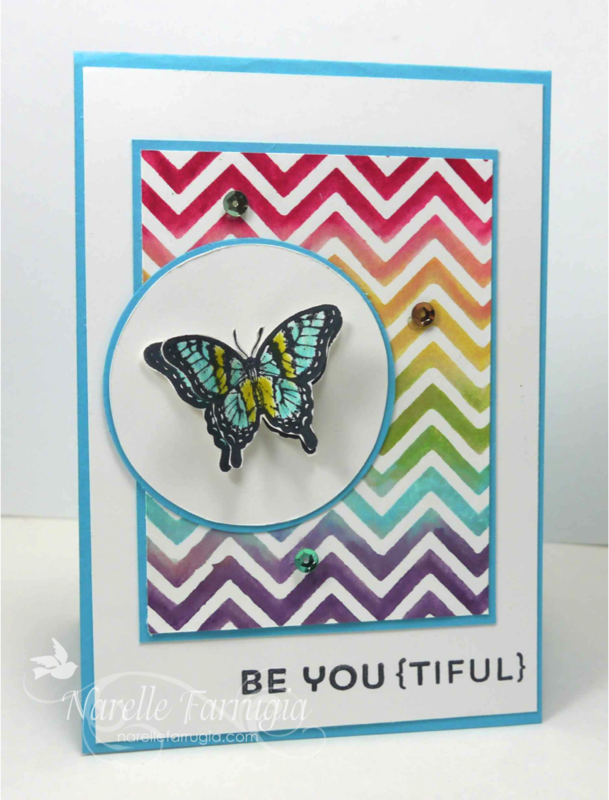 The colors that you used on the chevron stamp are awesome, and they’re so well blended together. I love this style of yours as well as your layers and flowers! This is a really wonderful card.